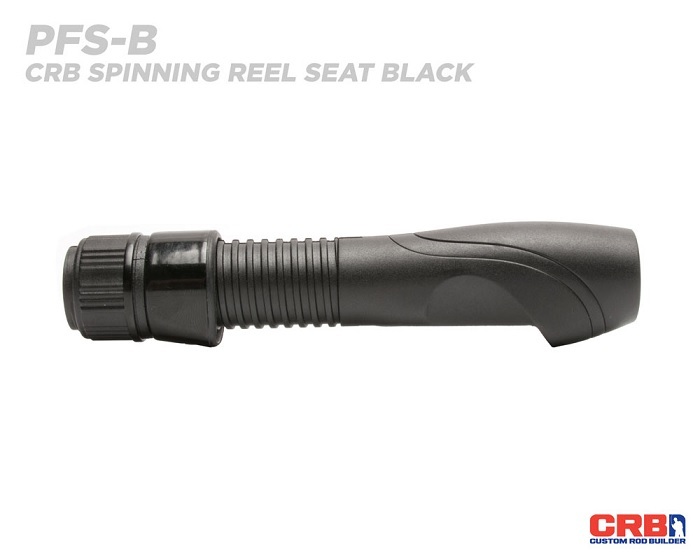 Check out these brand new CRB reel seats and see which sleek style suits your fishing performance. 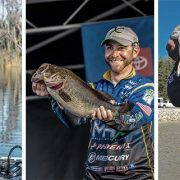 From adding a comfort finish and slimmer profiles to designing skeleton and exposed options, these premium reel seats provide top tier performance benefits without the bank breaking price. 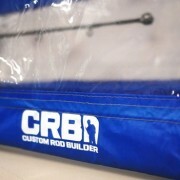 Featuring expertly crafted designs to fit any angler’s grip preferences and performance demands, the CRB reel seats embody the look and feel of true custom rod building. 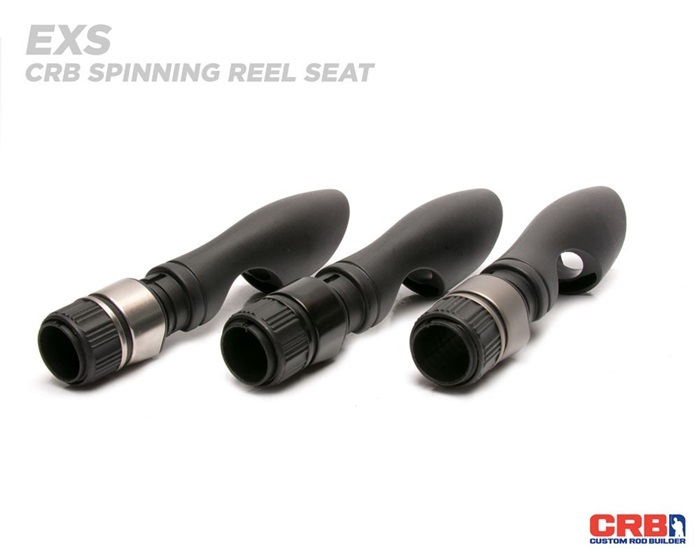 These all-new CRB casting and spinning reel seats give you the ultimate options in both comfort and control. 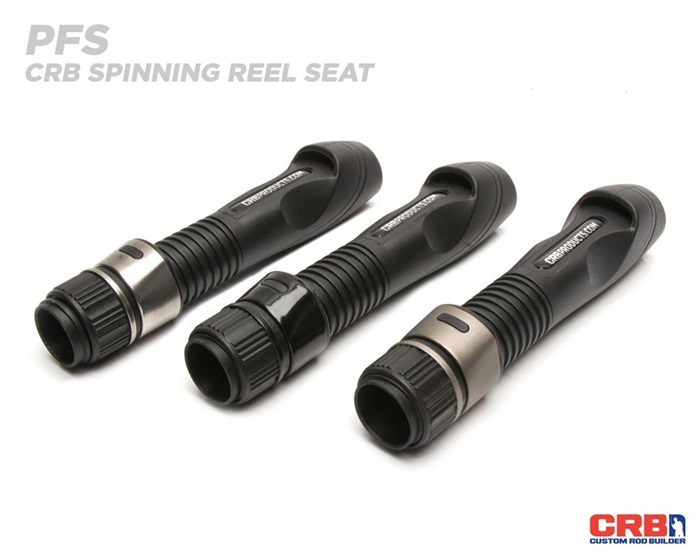 See what new reel seat will suit you! 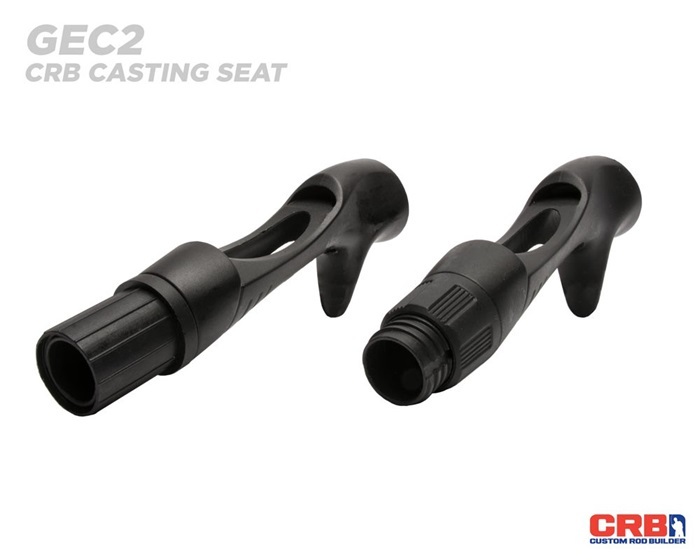 The GEC2 casting seat meshes a smooth, modern exposed design with a classic casting trigger for an updated reel seat option that brings the best of both worlds. 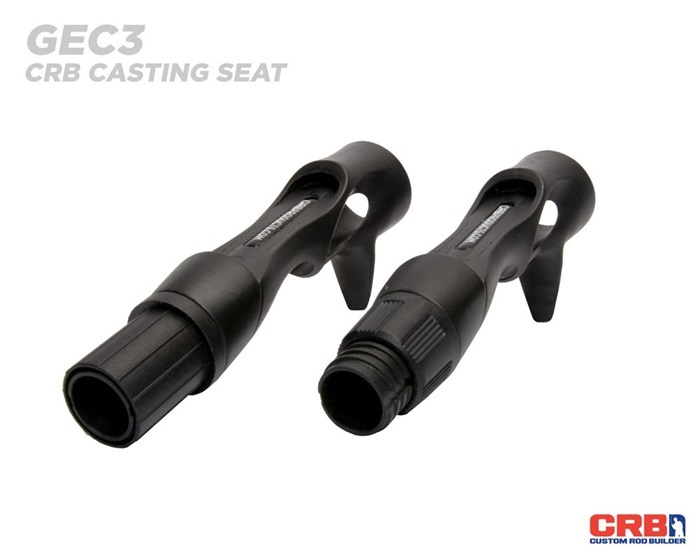 Dedicated to anglers who use low profile reels, these GEC2 seats feature the ideal hand support, but also provide maximum contact with the blank. 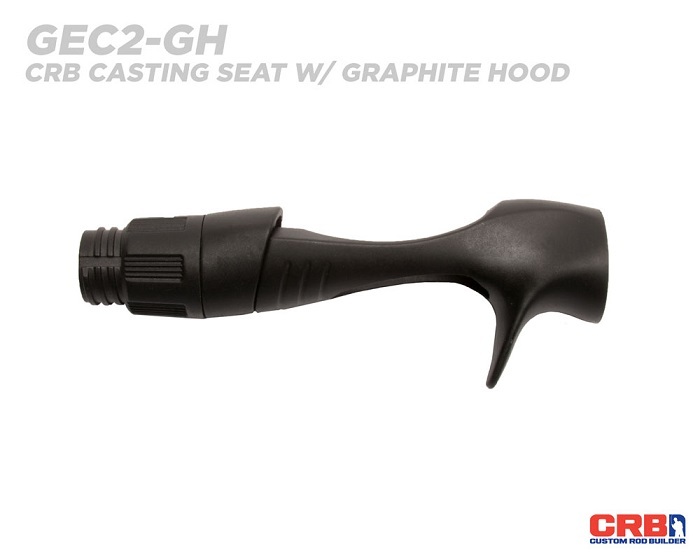 The GEC2’s dual channel locking hood system provides a secure connection over the reel foot and an efficient design to enhance any casting handle assembly. 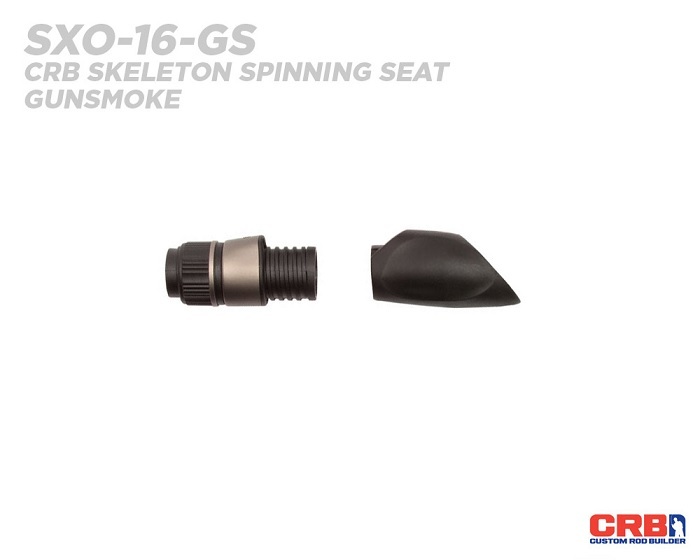 Available in the traditional locking hood or the hidden thread hood, this GEC2 reel seat comes in a size 16. 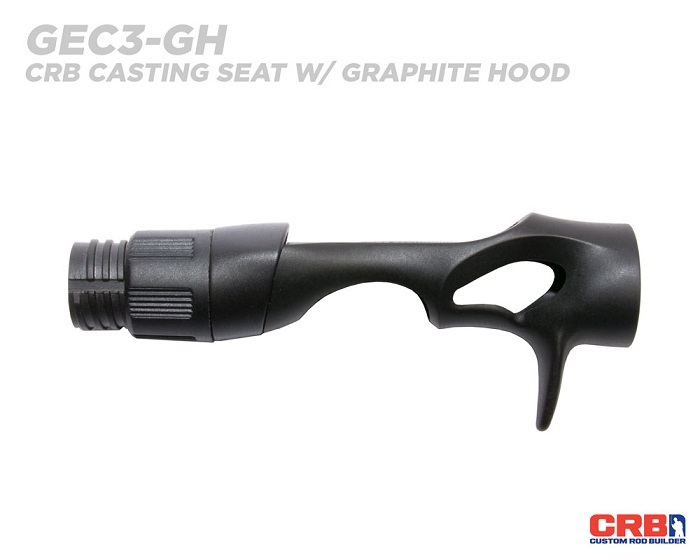 The GEC3 casting seat still incorporates the traditional casting trigger, but then adds an ergonomic finger groove behind the trigger for a subtle yet strategic boost in support. 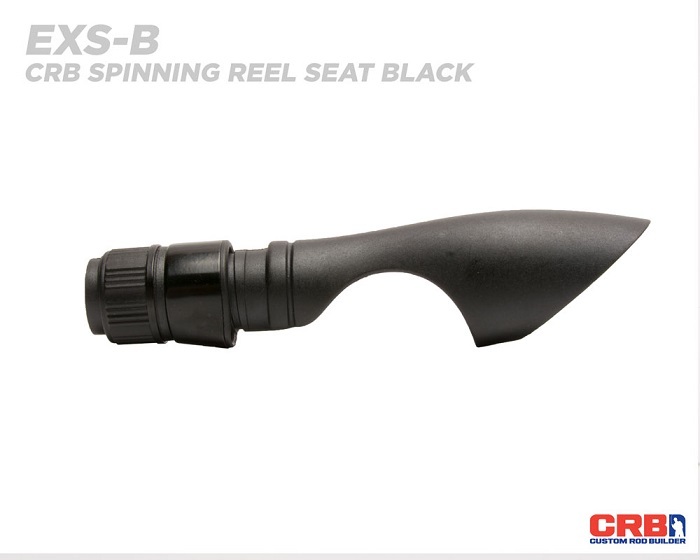 Getting premium quality without the dreaded premium price, this CRB GEC3 seat is designed for low profile reels and features proven hand support as well as maximum contact with the blank. 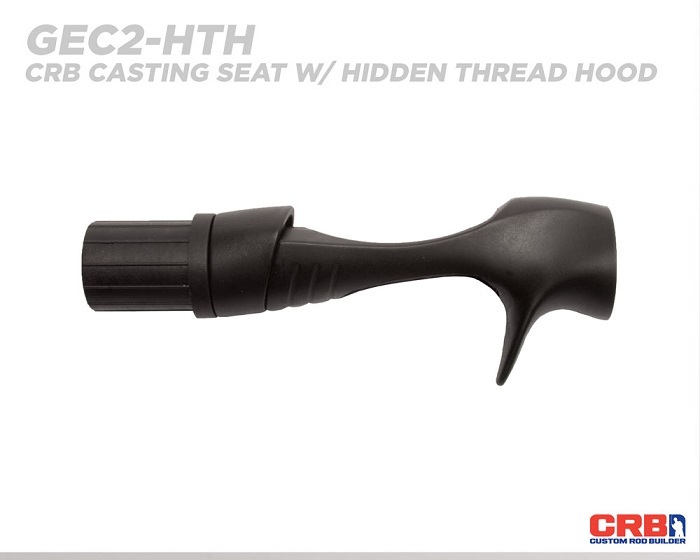 This size 16 seat comes in two hood designs: the trusty traditional locking hood and the hidden thread hood that gives an extra custom look to your handle. 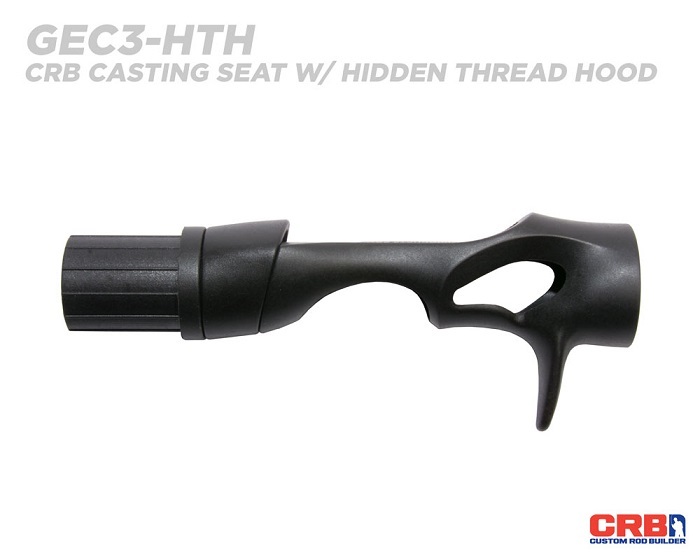 Plus with the dual channel locking hood system, this GEC3 seat provides excellent reel security in a sleek, efficient design scheme. The NTR casting reel seat is perfect option for angler’s looking to ditch the traditional trigger without losing any control or feel in the rod. This NTR seat was designed to provide the caster a secure and comfortable grip, while removing the restrictive trigger found on most casting seats. 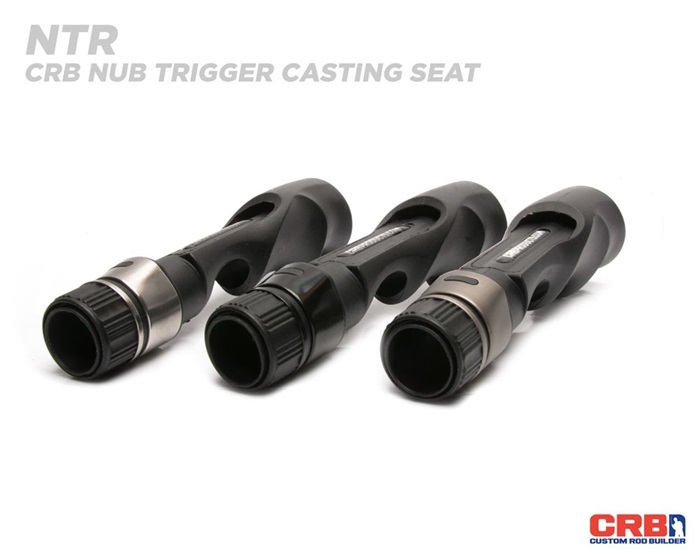 A true custom reel seat option, the NTR is ideal for right and left-handed anglers alike because it features enhanced sensitivity from the exposed cutout yet maintains superior stability with its double finger grooves. 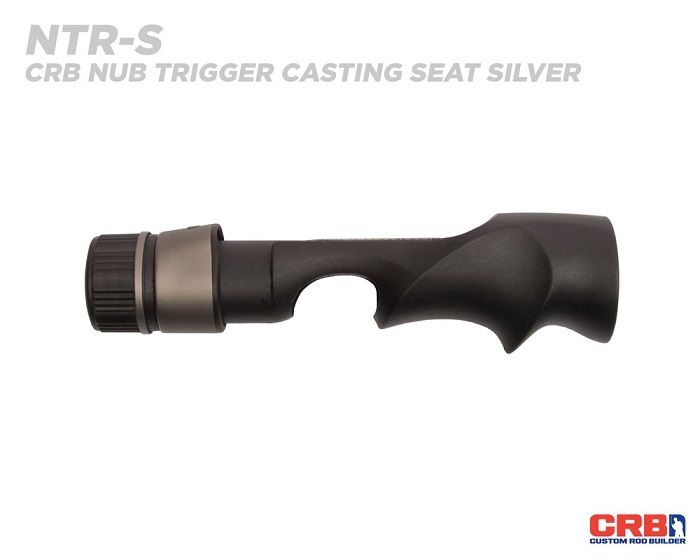 Plus, the NTR seat is available in size 16 with cool options for hood colors like Black, Silver and Gunsmoke! 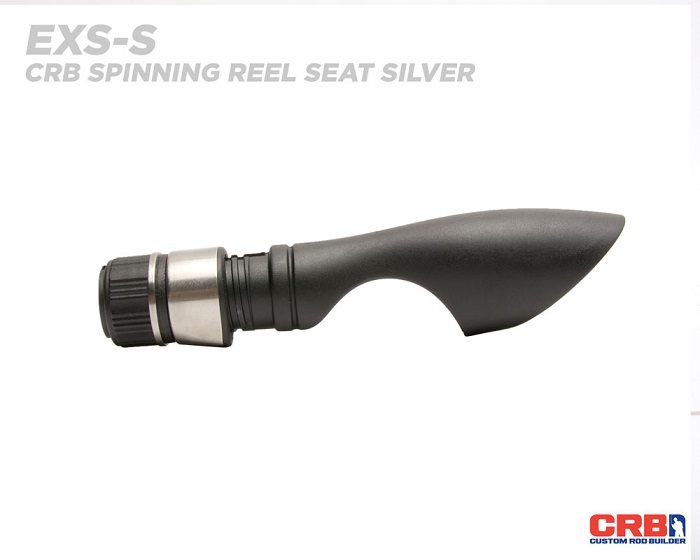 The EXS spinning seat blends its ergonomic shape with an exposed design for maximum feel in a strong and attractive reel seat option. With features like the palm swell and the rear-tapered design combined, the EXS seat creates a smooth transition between seat and grip to ease hand fatigue while tactically increasing control. 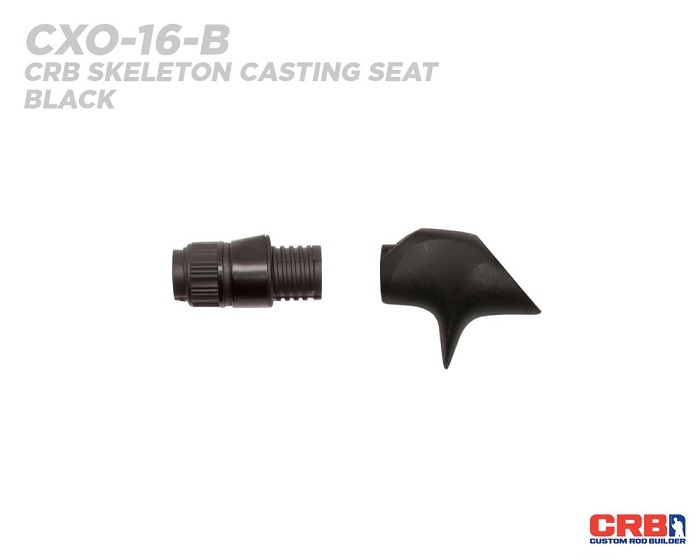 These seats are available in size 16 and includes choices for hood color such as Black, Silver and Gunsmoke. The PFS spinning seat was designed with efficiency and comfort in mind. 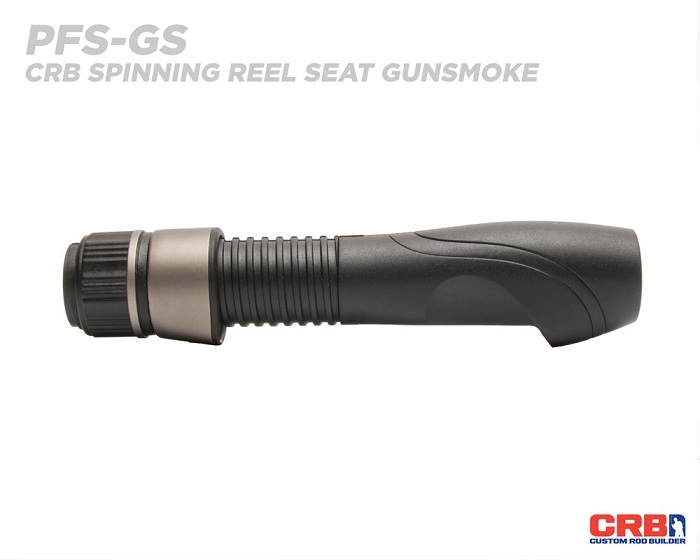 Featuring an ergonomic palm swell and signature finger grooves on each side of the barrel, the PFS seat provides improved grip without any added hand fatigue. 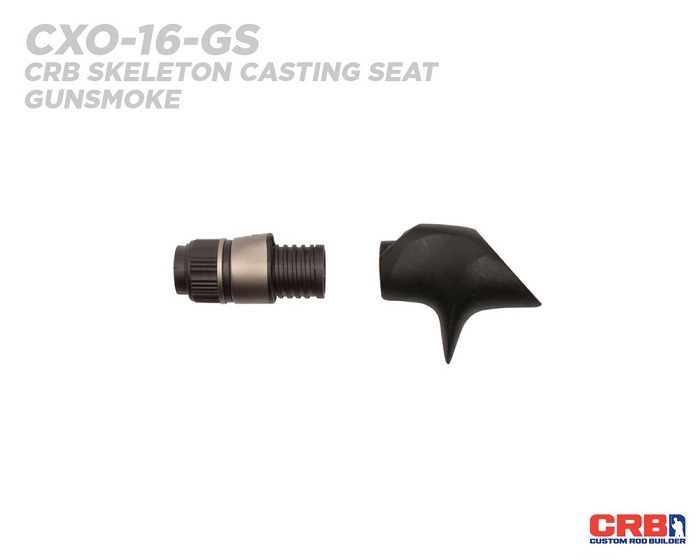 This seat is offered in size 16, 18, and 20, plus three hood colors: black, silver and gunsmoke. 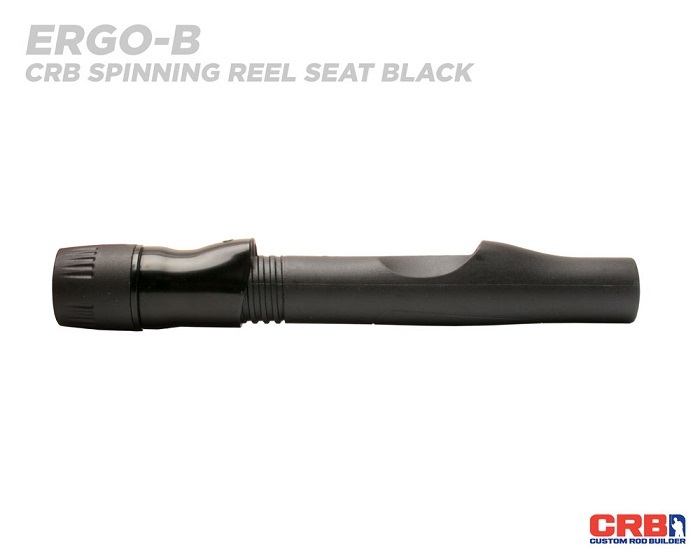 The ERGO spinning seat has a slim profile design with the precise placement of finger grooves for unbeatable comfort and control. 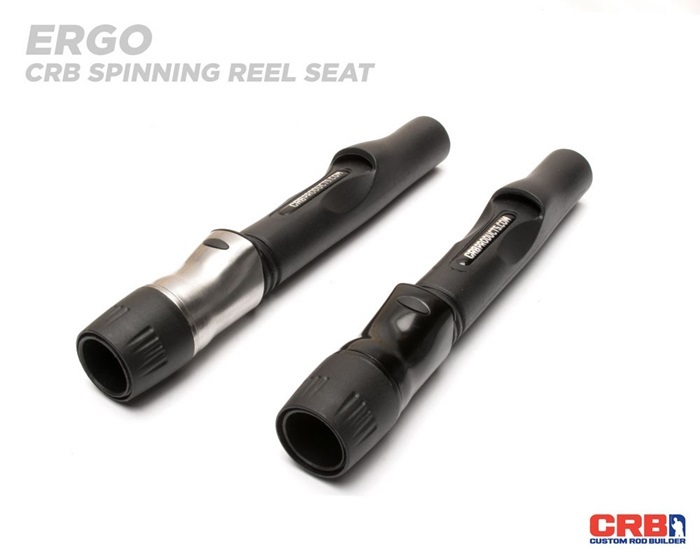 This ERGO seat also features an elongated molded rear section and a durable stainless steel hood that can be mounted either uplocking or downlocking. 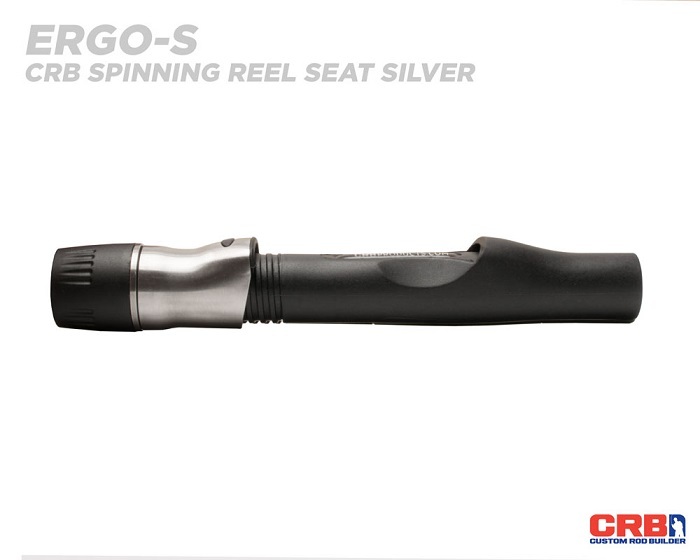 Available in Black or Silver hood options, the ERGO also comes in sizes 16, 18 and 20. 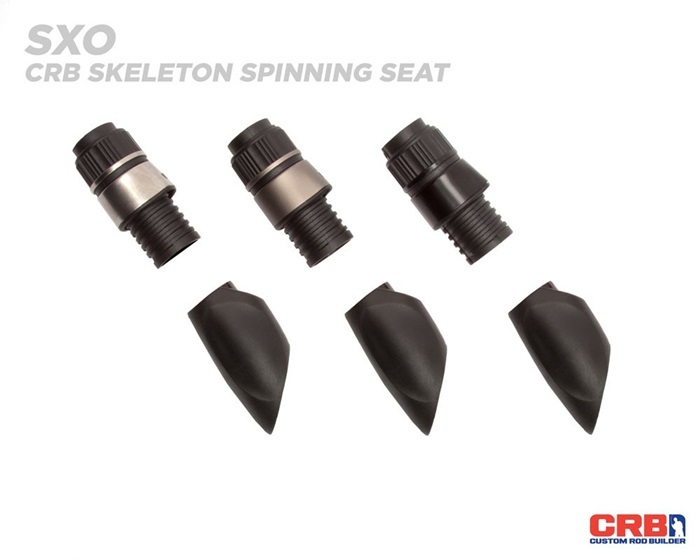 The SXO spinning seat marries ergonomic design with lightweight split-seat technology. This spinning seat features a slight palm swell and lateral finger grooves to keep your hand secure while casting and retrieving. 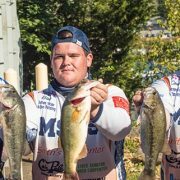 The SXO is available in size 16 with black, silver and gunsmoke hood options. 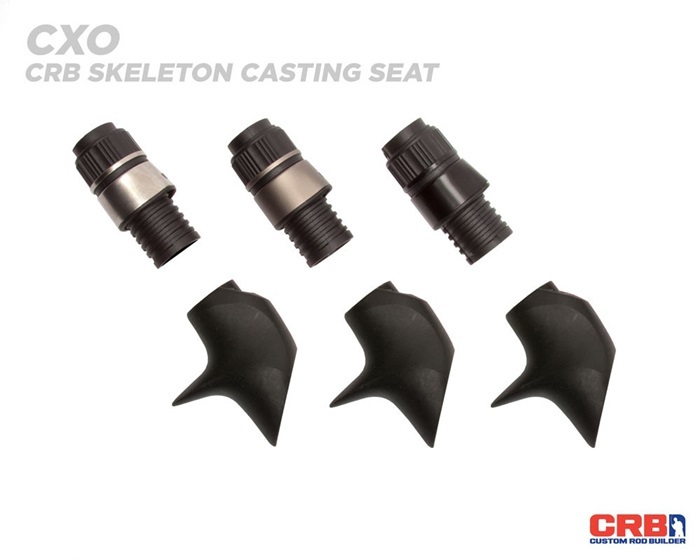 The CXO casting seat combines an ergonomic design with a lightweight skeleton design split-seat technology. 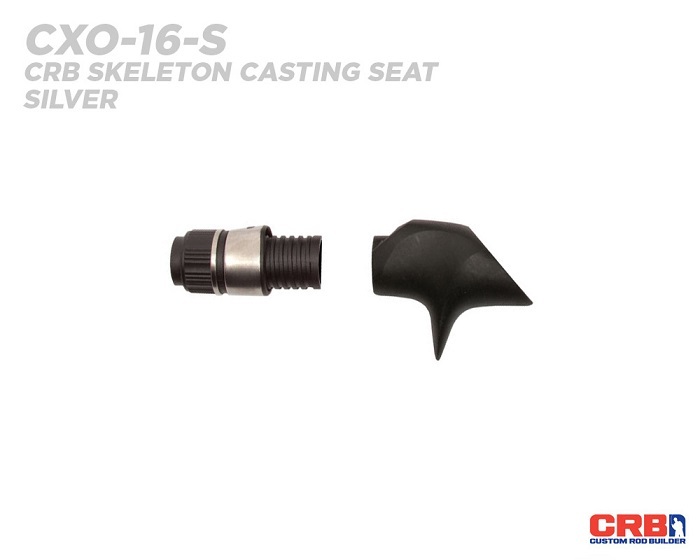 This skeleton casting seat features a shortened trigger and lateral finger grooves to keep your hand secure during both casts and retrieves. 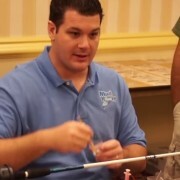 The CXO is available in size 16 with black, silver and gunsmoke hood options. 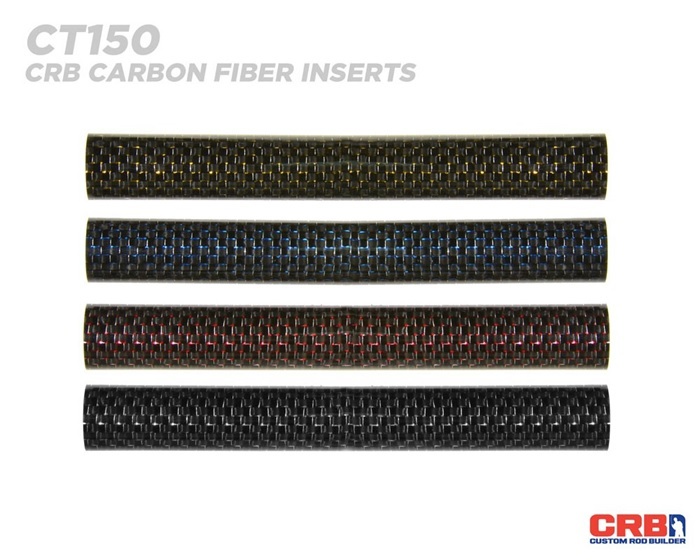 Rather than stop at reel seats, CRB also developed carbon fiber inserts that are specifically engineered to fit with the CRB exposed reel seats. 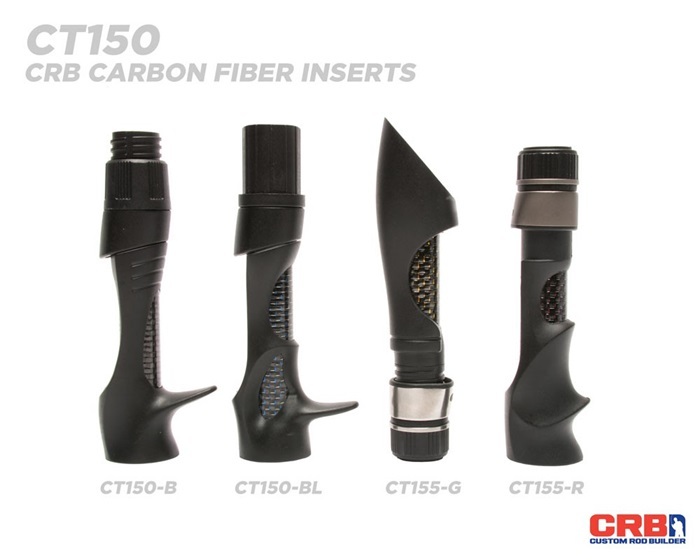 The carbon fiber inserts are 88mm in length with an inner diameter of 14mm or 0.551”, plus come in two additional outer diameter sizes, 15.0mm and 15.5mm. 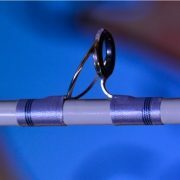 TIP: The size 15.0mm fits both the CRB GEC2 and GEC3 reel seats, while the size 15.5mm fits well with the CRB EXS and NTR reel seats. 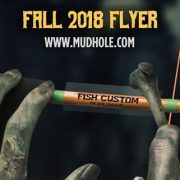 A simple upgrade that looks incredible on finished custom rods, carbon fiber inserts are easy to install and bring a really cool custom look.